Hi Friends, I just wanted to jump on here and share Pearls Nursery from our old house. We never got to fully finish it because we decided to move but its a space I adored and it needs to be remembered. The only thing we didn't finish was a gallery wall (on the wall not pictured in these photos) that was going to have photos from her birth. I loved coming up with this color pallet. I first picked the Crib, which is from Bratt Decor. I had never seen anything like it and instantly fell in love! Its so dainty and makes a huge statement. From there, I chose the wallpaper. This wallpaper was probably the most dreamy thing in my house! The colors, the mural it's just so perfect! The wallpaper is from Anewwall Decor which we love! We also used wallpaper from them in Olives room. 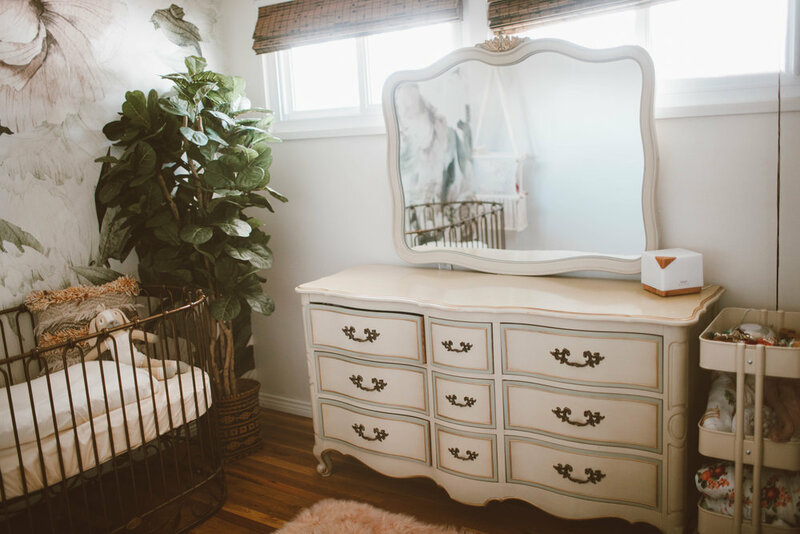 The two hanging pieces in her room are a macrame swing from Adelisa and Co that I adore! We had it for an entire year before putting it up and it quickly became our afternoon routine to listen to some music and Olive would swing while Pearl watched. The other is the hanging shelf from Fernweh Home! I used it to hold all her shoes and some gentle baby products and essential oils! The rug is a faux pink sheepskin from Kroma Carpets and the best part is that it's washable! The rest of the faux plants are from Target and the Pillow is from Loloi Rugs.. actually, every pillow in my house is from Loloi Rugs because they have such a unique selection! Gosh, I loved this space! But I am excited to start fresh and create a new space at our new home for her to grow into! Not to mention switching Olive to a big girl bed and decorating her space! 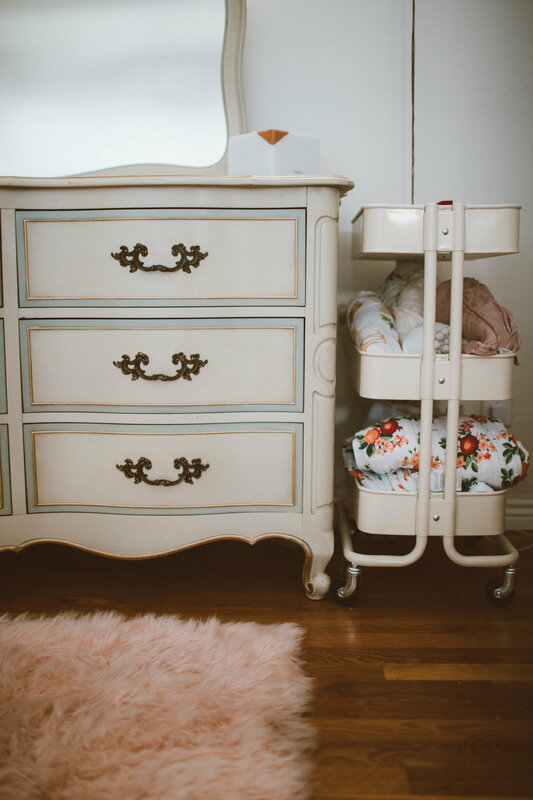 I can't wait to share with you all, decorating nursery's are my favorite rooms to decorate! What about you? Whats your favorite space to decorate in your home?